A healthy active beaver dam in Mill Creek. 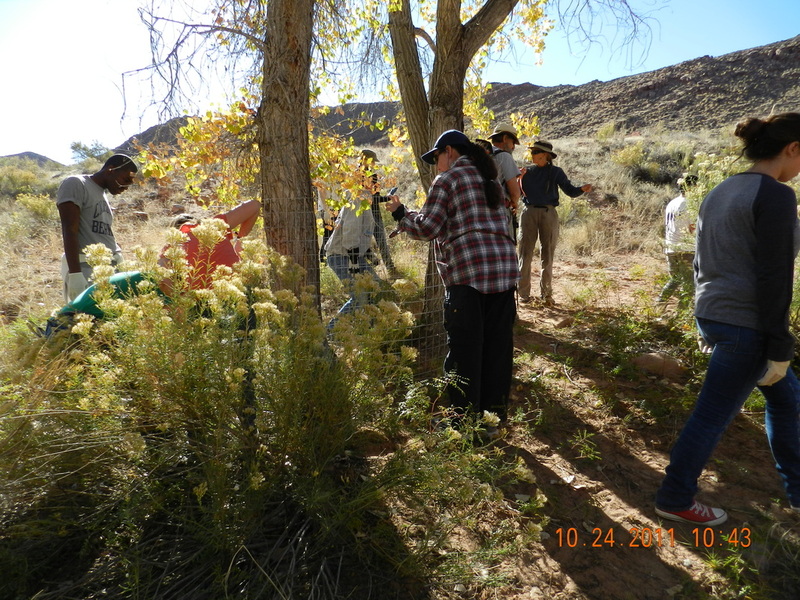 The Mill Creek Partnership is a collaboration of concerned citizens, land holders, nonprofit organizations and government agencies working to restore and care for Mill Creek as a viable riparian system, to protect the archeological resources of the canyon, and to provide for recreational use. ﻿Moab Solutions is continuing the great work started in the late 90s, and moving forward to protect and preserve our beautiful canyon. We welcome your help! To learn about why beavers are so helpful to the environment, read this short article by Mary O'Brien. If you would like to take a "deep dive" into why beavers are our heroes, check this out: Beaver Restoration Guidebook. 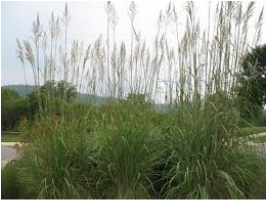 Information on the Ravenna Grass we are working to remove from the canyon and other areas. Cut plumes (seed heads) off before they seed. This may need to be done multiple times every summer/fall as new stalks emerge. If removal is desired, dig it up. Or spray with a broad spectrum contact herbicide in the fall, wait two weeks for the herbicide to move through the plant, then dig. Replace with a non-invasive ornamental grass. 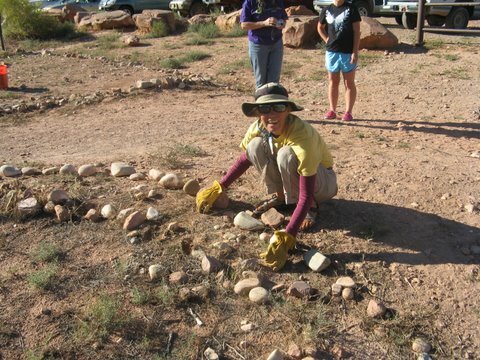 Help spread the word about the potential negative impacts of Ravenna grass in Moab. To download a brochure about Ravenna Grass, and ways you can help stop it from spreading, click on the photo. 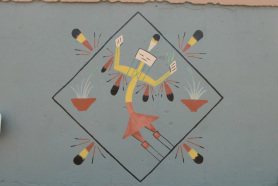 Local artist Sandra Davey volunteered her time and talent to paint this design on a wall of a pump house in the Powerdam area that had a lot of graffiti on it. We love this new artwork ever so much. Thanks Sandra! From our first work party.